Match ends, Dynamo Kyiv 6, Besiktas 0. Second Half ends, Dynamo Kyiv 6, Besiktas 0. Serhiy Rybalka (Dynamo Kyiv) wins a free kick in the defensive half. Foul by Cenk Tosun (Besiktas). Adriano (Besiktas) wins a free kick in the defensive half. Corner, Dynamo Kyiv. Conceded by Marcelo. Serhiy Rybalka (Dynamo Kyiv) hits the right post with a right footed shot from outside the box. Assisted by Viktor Tsygankov. Attempt missed. Moraes (Dynamo Kyiv) right footed shot from the left side of the box is close, but misses to the right. Assisted by Vitaliy Buyalskiy with a through ball. Goal! Dynamo Kyiv 6, Besiktas 0. Moraes (Dynamo Kyiv) right footed shot from the centre of the box to the centre of the goal. Attempt saved. Andriy Yarmolenko (Dynamo Kyiv) left footed shot from the centre of the box is saved in the centre of the goal. Assisted by Nikita Korzun with a through ball. Substitution, Dynamo Kyiv. Moraes replaces Artem Besedin. Gökhan Gönül (Besiktas) wins a free kick in the defensive half. Attempt saved. Vitaliy Buyalskiy (Dynamo Kyiv) right footed shot from the centre of the box is saved in the centre of the goal. Assisted by Vitorino Antunes. Offside, Dynamo Kyiv. Vitorino Antunes tries a through ball, but Viktor Tsygankov is caught offside. Substitution, Besiktas. Kerim Frei replaces Ricardo Quaresma. Substitution, Dynamo Kyiv. Viktor Tsygankov replaces Derlis González. Substitution, Dynamo Kyiv. Nikita Korzun replaces Serhiy Sydorchuk. Attempt saved. Derlis González (Dynamo Kyiv) right footed shot from outside the box is saved in the centre of the goal. Assisted by Artem Besedin. Atiba Hutchinson (Besiktas) wins a free kick in the defensive half. Foul by Artem Besedin (Dynamo Kyiv). Ricardo Quaresma (Besiktas) wins a free kick in the defensive half. Attempt blocked. Andriy Yarmolenko (Dynamo Kyiv) left footed shot from outside the box is blocked. Assisted by Artem Besedin. Goal! Dynamo Kyiv 5, Besiktas 0. Serhiy Sydorchuk (Dynamo Kyiv) right footed shot from the right side of the box to the bottom right corner. Foul by Serhiy Sydorchuk (Dynamo Kyiv). Second yellow card to Vincent Aboubakar (Besiktas). Foul by Vincent Aboubakar (Besiktas). Attempt saved. Vitaliy Buyalskiy (Dynamo Kyiv) right footed shot from the centre of the box is saved in the centre of the goal. Attempt saved. Serhiy Rybalka (Dynamo Kyiv) left footed shot from outside the box is saved in the bottom right corner. Assisted by Andriy Yarmolenko. Serhiy Sydorchuk (Dynamo Kyiv) wins a free kick on the right wing. Adriano (Besiktas) is shown the yellow card for a bad foul. Andriy Yarmolenko (Dynamo Kyiv) wins a free kick on the right wing. Attempt blocked. Cenk Tosun (Besiktas) right footed shot from outside the box is blocked. Assisted by Vincent Aboubakar. Offside, Dynamo Kyiv. Vitorino Antunes tries a through ball, but Derlis González is caught offside. Substitution, Besiktas. Cenk Tosun replaces Tolgay Arslan. Substitution, Besiktas. Gökhan Gönül replaces Olcay Sahan. Second Half begins Dynamo Kyiv 4, Besiktas 0. First Half ends, Dynamo Kyiv 4, Besiktas 0. Goal! Dynamo Kyiv 4, Besiktas 0. Derlis González (Dynamo Kyiv) right footed shot from outside the box to the bottom left corner. Assisted by Andriy Yarmolenko. Attempt missed. Serhiy Rybalka (Dynamo Kyiv) right footed shot from outside the box misses to the right. Assisted by Artem Besedin. Corner, Besiktas. Conceded by Artem Besedin. Attempt blocked. Ricardo Quaresma (Besiktas) right footed shot from outside the box is blocked. Tolgay Arslan (Besiktas) wins a free kick in the attacking half. Mykyta Burda (Dynamo Kyiv) is shown the yellow card for a bad foul. Dusko Tosic (Besiktas) wins a free kick on the left wing. Delay in match Vitaliy Buyalskiy (Dynamo Kyiv) because of an injury. Tolgay Arslan (Besiktas) wins a free kick in the defensive half. Foul by Olcay Sahan (Besiktas). Vincent Aboubakar (Besiktas) wins a free kick in the attacking half. Goal! Dynamo Kyiv 3, Besiktas 0. Vitaliy Buyalskiy (Dynamo Kyiv) right footed shot from outside the box to the bottom left corner. Goal! Dynamo Kyiv 2, Besiktas 0. 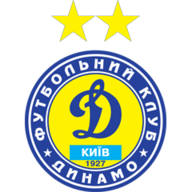 Andriy Yarmolenko (Dynamo Kyiv) converts the penalty with a left footed shot to the centre of the goal. Vincent Aboubakar (Besiktas) is shown the yellow card. 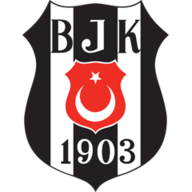 Andreas Beck (Besiktas) is shown the red card. Penalty conceded by Andreas Beck (Besiktas) after a foul in the penalty area. Penalty Dynamo Kyiv. Derlis González draws a foul in the penalty area. Attempt missed. Vincent Aboubakar (Besiktas) right footed shot from the right side of the box misses to the left. Assisted by Olcay Sahan. Attempt missed. Vincent Aboubakar (Besiktas) left footed shot from the left side of the box misses to the left. Assisted by Ricardo Quaresma with a cross following a corner. Corner, Besiktas. Conceded by Vitorino Antunes. Offside, Dynamo Kyiv. Derlis González tries a through ball, but Andriy Yarmolenko is caught offside. Oguzhan Ozyakup (Besiktas) is shown the yellow card for a bad foul. Foul by Oguzhan Ozyakup (Besiktas). Derlis González (Dynamo Kyiv) wins a free kick in the defensive half. Attempt blocked. Tolgay Arslan (Besiktas) right footed shot from the centre of the box is blocked. Assisted by Oguzhan Ozyakup with a cross. Corner, Besiktas. Conceded by Mykyta Burda. Attempt saved. Andriy Yarmolenko (Dynamo Kyiv) left footed shot from outside the box is saved in the bottom left corner. Assisted by Serhiy Sydorchuk. Attempt blocked. Oguzhan Ozyakup (Besiktas) right footed shot from outside the box is blocked. Assisted by Olcay Sahan. Goal! Dynamo Kyiv 1, Besiktas 0. Artem Besedin (Dynamo Kyiv) right footed shot from the left side of the six yard box to the bottom left corner. Assisted by Andriy Yarmolenko. Foul by Tolgay Arslan (Besiktas).